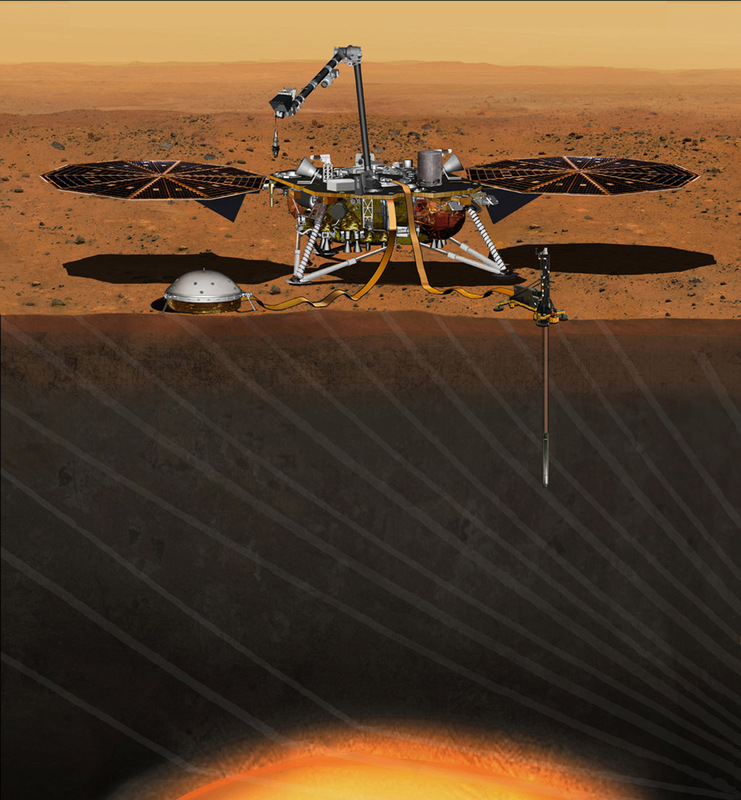 InSight will do a deep dive into the Martian underground, putting two instruments onto the surface that will ferry information back from the depths. W	W	hat lies beneath the surface on Mars? NASA’s next Mars mission aims to find out. The InSight project, NASA’s first mission to study the Red Planet’s deep interior, is on track for a 2018 liftoff after needing to be delayed two years due to a technical issue. Scientists hope that it will help explain the formation of rocky planets, including our own. InSight is expected to launch sometime in the five weeks following May 8, 2018, with a course charted for its arrival shortly after Thanksgiving. Lockheed Martin Space Systems has constructed the mission’s spacecraft — a stationary lander that will be positioned near the Martian equator — and is currently testing it at a facility near Denver. 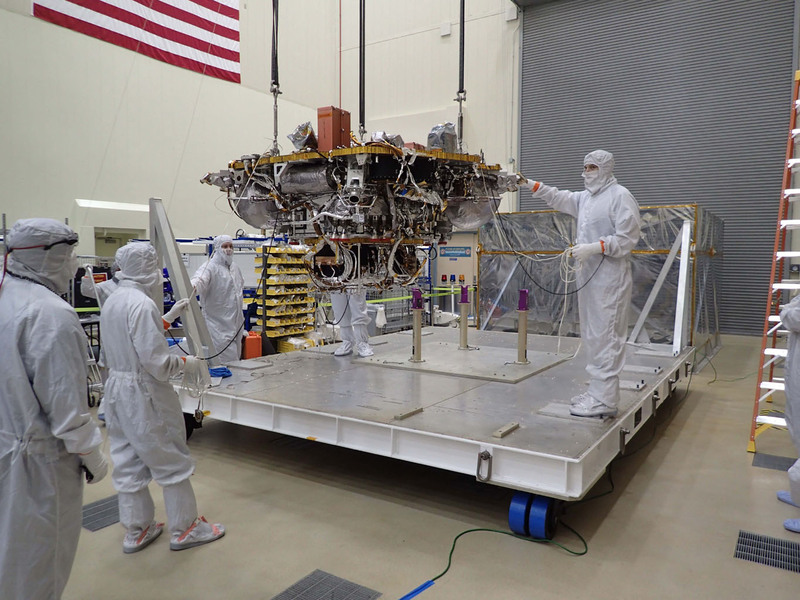 “The lander is completed and instruments have been integrated onto it so that we can complete the final spacecraft testing including acoustics, instrument deployments and thermal balance tests,” Stu Spath, spacecraft program manager at Lockheed Martin, said in a statement. While many missions have targeted Mars over the past two decades, the rovers, orbiters, and landers involved have all focused on the Red Planet’s surface, examining features such as craters, rocks, regolith (soil), and volcanoes. Unlike any mission that preceded it, InSight will do a deep dive into the Martian underground, putting two instruments onto the surface that will ferry information back from the Martian depths. The first is a seismometer whose development was led by the French space agency CNES in collaboration with several other countries, including the US. It is sensitive enough to detect ground movements that are only half the diameter of a hydrogen atom, and its main goal is to record “marsquakes” (seismic waves) or meteor impacts, which will help reveal information about the interior layers of Mars. The second is a heat probe that can burrow approximately three to five meters (10 to 16 feet) below the surface to measure how much energy comes from the planet’s interior. The goal is to better learn how terrestrial planets such as Venus, Earth, and Mars were formed. Mars gives a special advantage to this kind of investigation because, unlike Earth, plate tectonics (which generate earthquakes, among other phenomena) don’t appear to be active on the planet. “Because the interior of Mars has churned much less than Earth’s in the past three billion years, Mars likely preserves evidence about rocky planets’ infancy better than our home planet does,” said Bruce Banerdt, InSight principal investigator at NASA’s Jet Propulsion Laboratory in California. The project’s third main experimental component will use radio transmissions between Mars and Earth to investigate changes in how Mars rotates on its axis. This could reveal information about the size of the Red Planet’s core. When a mission to Mars gets delayed by more than a few weeks, it has to wait another 26 months to launch. That’s because the orbits of Earth and Mars bring the two planets into a favorable position to launch spacecraft – when the planets are relatively close to one another, which saves on spacecraft fuel and travel time – only for a few weeks every 26 months. The InSight mission’s 26-month delay came in part due to orbital geometry as well as because of a technical issue. NASA called off the planned March 2016 launch after discovering a leak in a container surrounding the seismometer’s main sensors; the container was supposed to maintain a near-vacuum around these sensors. A new vacuum vessel was delivered in July and installed. “We have fixed the problem we had two years ago, and we are eagerly preparing for launch,” said Tom Hoffman, InSight project manager at JPL.